Bee propolis is a remarkable natural substance collected and produced by honeybees. It is often referred to as a natural antibiotic and has many diverse uses. I love it when nature clearly has the upper hand over the frailty of our human science. Bee propolis is one such substance and has even been described as having antibacterial, antiviral, anti-fungal, anti-inflammatory and even anti-cancer properties with immune modulating effects. These may sound a little too good to be true but a bottle of propolis ointment will be incredibly useful in your medicine cabinet for it's anti-viral effects. A study was done on the effects of bee propolis ointment on Recurrent Aphthous Stomatitis (RAS)- also known as canker sores - at the Harvard School of Dental Medicine. Canker sores are an ulcerative disorder of the oral cavity. They have no cure and medicine used to prevent further outbreaks and relief of pain comes with its own set of dangerous side-effects. Bee propolis ointment was evaluated as a potential remedy to reduce the number of mouth ulcer outbreaks. There were two groups of patients, one group who took a placebo capsule and the other group who took a propolis capsule. Patients who took the propolis capsule showed a significant decrease in the number of outbreaks of mouth ulcers. Another great effect of the propolis was that the patients reported a definite improvement in their quality of life. This would likely be due to the immune boosting effects that propolis has with its high levels of B-vitamin complex and notable quantities of vitamin C, E, and beta-carotene. Propolis is a resinous substance that bees collect from trees and plants. Bees use it as a natural antibiotic to protect their hive and as defense against disease in the hive. They do this by using it as a seal over foreign matter so that it does not pollute the hive as well as for creating doorways. It is made up of waxes, raisins, fatty acids and amino acids. Hundreds of chemical properties have been identified in propolis and this differs from hive to hive as well as with the environment the bees live in and the time of day the propolis was collected. This makes propolis exceedingly complex which is why no one has attempted to synthesise the product. It is natural and cannot be patented and therefore research into the substance is limited regarding its clinical benefits. Propolis has long been used as a natural remedy and it is thought that it's the numerous flavanoids which it contains that account for its wound healing benefits. Some studies suggest that it may be used against bacteria and viruses and other microorganisms when applied to infected areas topically. Propolis has anti-microbial action on both gram-positive and gram-negative micro-organisms. It contains constituents that increase membrane permeability and inhibit bacterial motility. It is commonly used for wound infection and other illnesses. Propolis had shown anti-inflammatory action and has been used to treat arthritis as well as allergies and asthma. It has even been shown to be effective against MRSA, the antibiotic resistant bacteria that is affecting many hospitals. 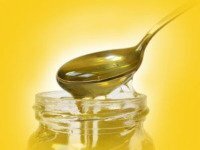 People who are allergic to bees should however use propolis was caution as an allergic reaction to the substance could occur. Recent studies have shown that there may be a place for trying propolis on skin cancer but these were test tube studies and not done on humans so trying this as remedy for skin cancer should be done with the co-operation of your doctor. Propolis is available in a wide assortment of products found in pharmacies and health food stores, including tablets, capsules, powders, extracts, ointments, creams, lotions, and other cosmetics.